One of our longtime loyal customers, the Waupaca Dance Team, designed a jazz costume this past year that was eye-catching and beautiful that came from great inspiration. They found ideas and inspiration from glamorous gowns and skate dresses, and brought them to us for this costume. When trying to incorporate elements from a fashion gown or the runway to the dance world, the designers have to take into consideration the draping while the dancers are moving. It not only has to look good on the dancers, but it has to move with them and not interfere with the choreography and movement! At the Line Up, we have daily fit sessions, where we have a fit model try on ALL prototypes of the costumes to make sure that they fit and move the way the team wants them to. It ensures that we get the costume/uniform fit how the customer envisions it. 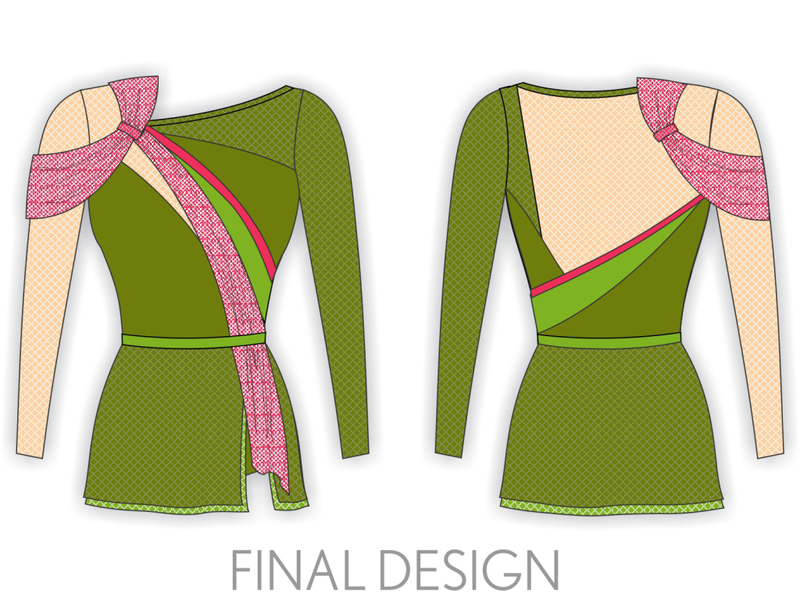 Our designers worked diligently to make sure the shoulder drape for Waupaca was just right. The color combination of moss green and shocking coral are gorgeous- a truly original idea in the dance world! It was an innovative color combination that grabbed the audiences' attention the second the dancers hit the floor, before they did their first move! 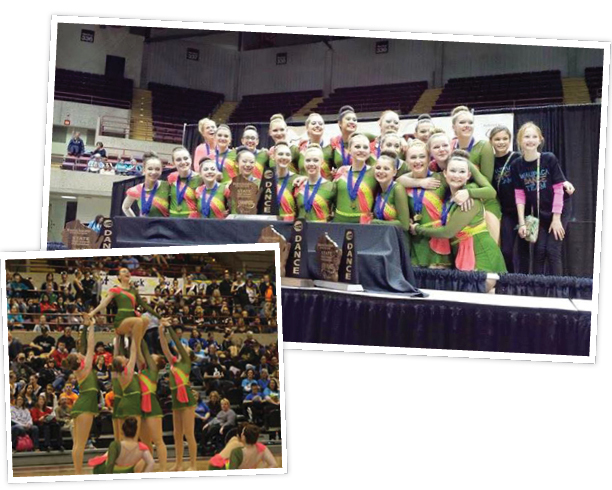 Congratulations to Waupaca for their WI State championship in both Jazz and Pom- you deserve it!